Below an overview of the members of the initiating team. We will soon be looking for people to strengthen our team and help us build The Journey Network. Stay in touch! 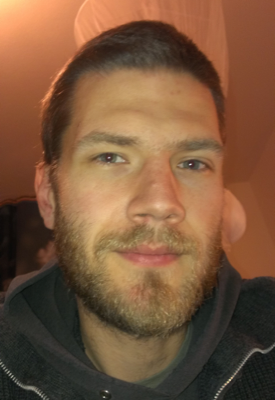 Martin Cadée (from The Netherlands) is founder of The Journey Network. He is a social entrepreneur, educational innovator and nature quest guide. He co-founded an international school for young entrepreneurial talents who want to make a difference in the world, KaosPilots.NL, now Knowmads. The vision for TJN sprouted from his own years of nomadic life in search for home and meaning while studying rites of passage and ways to help young people understand their true gift for the world. 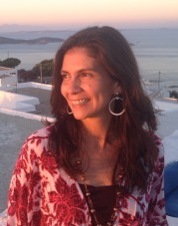 Kathia Laszlo (from Mexico) is founding partner of The Journey Network. She is an educator, researcher, coach and consultant committed to facilitate transformational processes that lead to cultural healing and social evolution. She is professor at Saybrook University in the School of Organizational Leadership and Transformation. Her own life journey has led her to reconnect with feminine and indigenous ways of knowing. Her stepping into the leadership of The Journey Network is an expression of her commitment to innovate learning processes and business structures that support the clarification of one’s sacred purpose in service of the deepest needs of the world. Ursel Biester (from Germany) is a curious adventurer into unknown territories. She is educated as a linguist, andragogist and KaosPilot and works as a group facilitator for strategic change. She develops self-directed learning materials for life-long discoverers and has a passion for accompanying people on their various ways through life. Loves dancing. Beal Lowe (from the USA) is newly retired from a 30 year career as a clinical and vocational psychologist. He is now moving to become fully engaged in the subjects and activities which have come to fascinate him most in these last years – cosmology, evolution and the development of human capacities and understandings through wilderness questing. Working with TJN to create a way of identifying and organizing elders who can serve as guides.